The Farmer’s Dog was a labor of love. 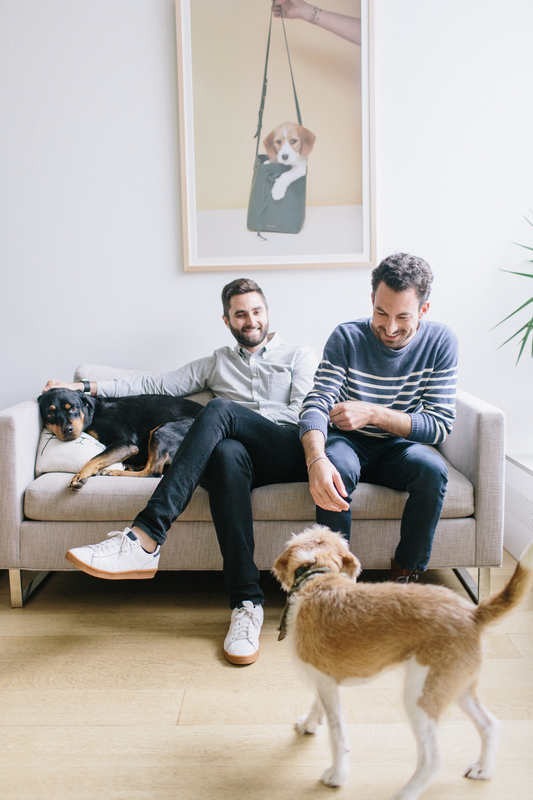 It all started with Jada, co-founder Brett Podolsky’s beloved dog. Once he said goodbye to commercial pet food and switched her to a fresh diet made with real food, her symptoms disappeared. Soon after, he teamed up with his friend Jonathan Regev to create The Farmer’s Dog and feed pets everywhere the healthiest food. Hear the story in Brett’s own words below, and if you haven’t joined the real food for dogs movement yet, learn more about the benefits of a fresh food diet today. Love the food, but with a 7lb poodle, each bag means twice a week, I am dividing a bag into 8 portions (4 days). It’s a real hassle, and messy. Any suggestions? Can you package your food in smaller bags (even 2 day supply- half size bags would help)? Perhaps if it has to remain in one large bag, make the bags easier to cut/divide. I hate to use scissors on her food, but knives don’t really cut it (no pun intended). Thank you for making such a good product. Sterling is a finicky eater. She disliked the chick peas (and I was mushing them up for her)in your turkey recipe, but we seem to be okay with just the beef version. So happy to hear that our fresh beef meals are keeping Sterling happy and healthy! I’m not sure if you got my comment yesterday. I just wanted to let you know how much appreciated you are. My friend signed up for your program for her dog Eli. Unfortunately, Eli died before he could even try the diet. She contacted you and told you the reason she was canceling the program. After a while, she received a bouquet of white lilies—-FROM YOUR COMPANY! That was an unbelievably kind and generous response on your part. Because of that and your great dog food, I am now a subscriber to your program.